The British Lung Foundation (BLF) has launched a new obstructive sleep apnoea (OSA) toolkit for commissioners and planning services to support them in improving the delivery of sleep services across the UK. Diagnosis and treatment of OSA varies greatly in the UK and of the estimated 1.5 million adults affected, up to 85 per cent of them remain undiagnosed and untreated[i][ii]. Successfully diagnosing and treating OSA could save the NHS £28m a year in care costs[iii]. The BLF toolkit includes a booklet and an online tool. The booklet provides evidence of the burden of OSA in the UK and gives recommendations for providing sleep services from diagnosis to management, as well as an audit checklist to help review local services. The online tool can generate a comprehensive report on any named local health area* in the UK including estimated local prevalence of OSA risk , recommended service provision, cost avoidance for treating OSA, and number of traffic accidents that could be prevented locally. OSA is a respiratory condition that causes people to stop breathing repeatedly while asleep. It affects up to 4 per cent of middle-aged men and 2 per cent of middle-aged women. The main symptoms of OSA include snoring and daytime sleepiness with other symptoms ranging from poor memory, inability to concentrate and irritability. Untreated, OSA increases the chance of health hazards ranging from stroke and diabetes through to fatal road accidents[iv]. The condition is, however, relatively easy to treat using a continuous positive airway pressure (CPAP) mask. “OSA represents a major healthcare challenge in this country, placing a huge burden on local and national services. Our toolkit is designed to help commissioners increase OSA diagnosis in this country and treat more people who are currently living with the condition unaware. We hope that together we can improve access to sleep services, and help cut the impact OSA is having on the health of the nation”. 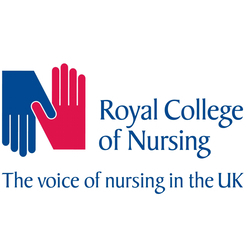 The toolkit has been endorsed by the Association of Respiratory Nurse Specialists (ARNS), the Association of Respiratory Technology and Physiology (ARTP), the British Sleep Society (BSS) and the Primary Care Respiratory Society UK (PCRS-UK) and supported by the British Thoracic Society (BTS). The toolkit was funded by ResMed**. To order copies of the toolkit please visit www.blf.org.uk/OSA-toolkit or contact BLF Services at blfservices@blf.org.uk / 020 7688 6026. For further information please contact the British Lung Foundation Press Office at press@blf.org.uk /020 7688 5580. OSA occurs when neck and throat muscles relax when a person is asleep, causing the airway to get blocked and the breathing to be interrupted. It can cause an individual to stop breathing for a significant amount of time (a minimum of 10 seconds, but over a minute in extreme cases). This pause in breath can happen hundreds of times a night, resulting in dips in blood oxygen levels and preventing the occurrence of deep sleep. Symptoms include snoring, stopping breathing or struggling to breathe whilst asleep, and sleepiness during the day. More information about OSA can be found on the British Lung Foundation website. * ‘Local health area’ includes Clinical Commissioning Groups (CCGs) in England, Health and Social Care Trusts (HSCTs) in Northern Ireland, NHS Health Boards (HBs) in Scotland and Local Health Boards (LHBs) in Wales. **ResMed is a medical device company specialising in treatments for sleep disordered breathing and other chronic diseases. It has had no influence over the content of the OSA toolkit.